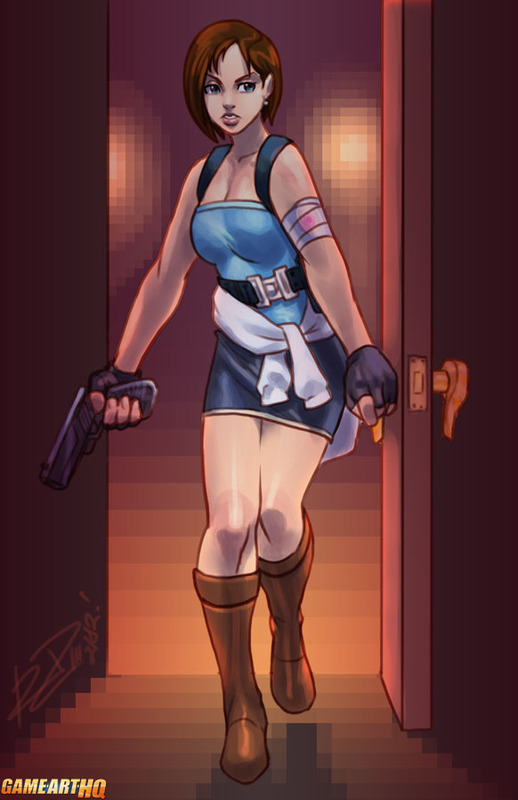 Jill Valentine made her video game in 1996 in the original Resident Evil as one of the two playable characters and returned in Resident Evil 3: Nemesis as the main protagonist. Jill got quite a lot different designs over the years but her RE Nemesis one still remains as a big fan favourite for many gamers. No wonder that good artists are getting paid to draw characters like Jill from time to time by fans. In this case it was Robert “Robaato” Porter who created this nice piece of Jill. Check out his gallery on dA!